Dr Ekwow Spio-Garbrah, a Presidential Aspirant of the National Democratic Congress (NDC), has urged NDC delegates to elect a leader who appeals to the public especially floating voters. 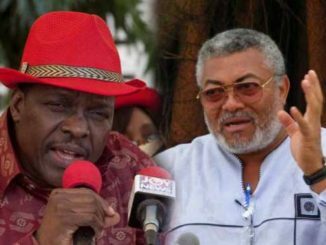 He said the NPP was able to convince Ghanaians in the 2016 elections that the NDC was the most corrupt and bribery party and succeeded hence the need to present a sacrosanct candidate. 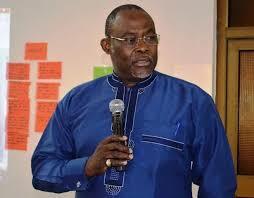 At the formal outdooring of his campaign in Accra on Tuesday, Dr Spio-Garbrah said his proposed ‘Forward Agenda’ (FA) would help to rebrand and repackage the party to wipe-off the smear campaign against it and recapture power in the 2020 elections. It was on the slogan, “It is Spio’s Time”. 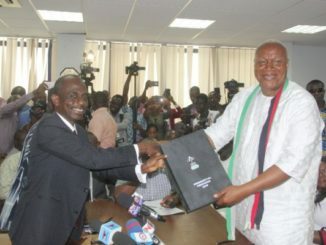 The FA, which touches on sacrifice and commitment to party and country, he explained, was a grand plan to win the NDC flag bearership and subsequently the Presidency race in the next elections. 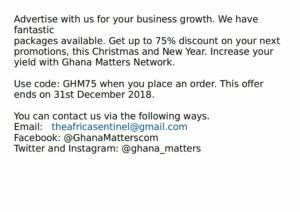 “It takes its inspiration from Kwame Nkrumah’s famous words, that when it comes to Ghana’s national development, “We face neither East nor West; We Face forward”. 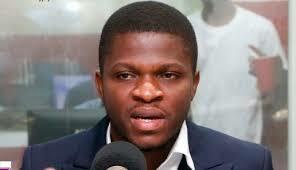 Dr Spio-Gabrah stated that by the FA, the NDC’s future does not include; attempting to revive the cadavers and carcasses of our ignoble, squandered defeat of 2016 but to build an innovative, constructive and decisive leadership that would foremost ensure that Ghanaians are lifted out of poverty and can compete with the best and brightest in the world. Commenting on the results of the Party’s recent branch, constituency and regional executive elections, he noted that it showed that there was a high demand for change, adding the demand for change by grassroots members of the previous had led to the removal of most executives whose conduct might have contributed to the Party’s abysmal 2016 presidential elections. “So far, some 75-85 per cent of all previous executives have been replaced at all levels, for an average replacement rate of 80 per cent. This change was particularly evident in the fact that of the 10 2016 Regional Chairmen who signed a statement last year in favour of one candidate, only two survived the Tsunami. “At the Party Headquarters, more than 80 per cent of all the Functional Executive Committee members are having to seek a new position within the Secretariat in order to stand a chance of re-election, or else are not standing at all for re-election. This huge demand for new leaders in the Party will soon be evident in the election of national Party executives as well as in the choice of a flag bearer”, he said. Already, Dr Spio-Gabrah stated that more than 80 per cent of officers at the National level were seeking re-election in different positions, to avoid the Tsunami effect. He added that NDC members were looking for renewal, re-invigoration, fresh blood, fresh ideas, and a fresh leader emphasising that change in NDC was underway.